Photography is a great hobby, and learning to take better photos can be incredibly rewarding! It doesn’t matter whether you’re shooting on an iPhone or expensive SLR, enjoy taking photos and do it for yourself and no one else. Here are my 16 tips to taking better photos. Of course, the expensive kit tends to deliver the best results, but even the cheapest of cameras can take better pictures than professional kit if used well. I shoot on a Canon 7d, but some of the favourite pictures I’ve taken have been shot frustratingly on an iPhone camera! Think about what you’re photographing and most importantly what it would look like still – as ultimately, it will be! If you’re serious about wanting to take better photos, start out with a relatively inexpensive entry level camera such as the Canon EOS 1300D, which is also great for video. 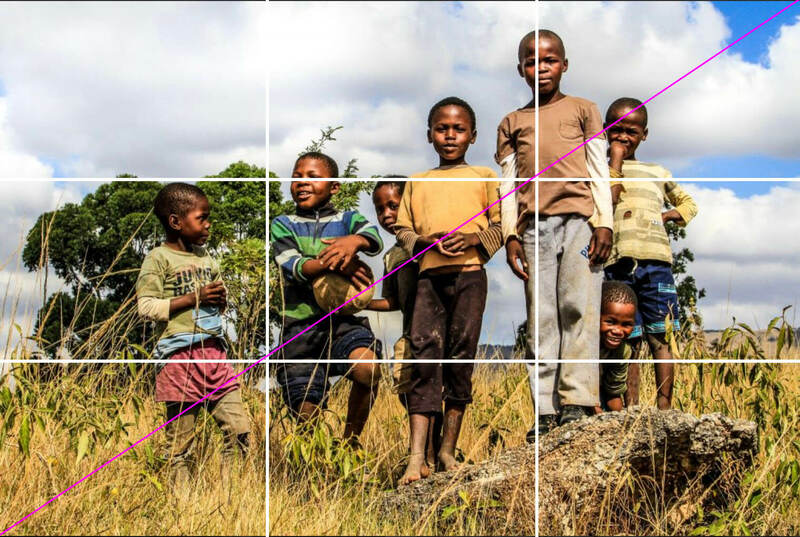 Starting with the basics to take better photos, the rule of thirds has been around since photography became a thing. Think about two horizontal lines going across the screen, equally spaced, and two vertically. Eye lines, horizons, key subject elements should line up on your thirds. The above photo also demonstrates the bottom left to top right rule. We read images from the bottom left-hand corner to the top right. Try framing your pictures to follow this. The space around your subject is almost as important as the subject itself. Taking a top-to-toe image of your friend with her arms outstretched and a beautiful landscape behind? Make sure you have at least 10% of the picture height between the bottom of the frame and her feet. And, the same applies from her head up. So many pictures are spoilt by uncomfortable margins, so play it safe, as there’s nothing you can do in editing to fix it! The light is what will illuminate your image. If you’re staring straight into it you’ll wash out your photograph and your subjects will disappear. Likewise, if the sun or light source is directly behind you your images will lose depth and appear flat. To take better photos, consider where the light is and choose an angle that allows the camera to work with the light it’s getting. A good 45-degree angle to the camera always works well. As a general rule, I find a well-composed landscape image (horizontal) looks much better than any portrait (vertical) image. Stop wasting your time turning the camera 90 degrees and just focus on getting a strong landscape shot. It may sound odd, but if you’re using your first DSLR don’t rush to taking it out of auto. If you want to take better photos let your camera do the work of balancing the light and making the picture technically correct. You focus on what your shooting, your subject, how you frame your picture, and creating the best content for your photo. If you’re using a DSLR with a zoom lens then zoom right in on the point you want to focus and half hard your shutter button. This will lock onto your point of interest and allow you to double check through your viewfinder that what needs to be crisp is. Surely this is an obvious one. Digital cameras give us the freedom to capture as much as we want, without wasting expensive film or money on developing. Shoot lots of the same thing, shifting your grip, framing and composition between snaps. Keep your fingers on aperture and shutter speed so you can make minor tweaks to your exposure too. Of course, you can crop whilst editing later, but you’ll find the best photos you take are when you’re in up close to your subject. Just take an extra step forward and your pictures will get the extra ‘pop’ they need. Take a look at my ‘Pictures of people’ album for more inspiration. ISO is a digital light source effectively. If you want to take better photos you should try and keep this as low as possible. In low light you’ll, of course, need it, but the higher the ISO the more grainy your pictures will be. Try and ensure you are using as much of the surrounding light available as possible before turning up your ISO. Your shutter speed is just what it says on the tin – the length of time your camera shutter is open for, the longer it’s open for the more light can get in, making your photos brighter, but also the more time that passes in front of the lengths. So, if you’re taking a picture of a racing car you’ll need a quicker shutter speed, upwards of 1/500th of a second. Otherwise, your image will be blurred. If you reduce the amount that can in your lens with a higher shutter speed then you’ll need to compensate with aperture and ISO. What’s that I hear you ask! Chimping is the action of taking a photograph and looking immediately at your screen – of course on a digital camera. Instead, if you’re using a DSLR, keep your fingers on the aperture and shutter speeds to make any adjustments you may need, and click away. That’s the beauty surely of a digital camera. Otherwise, you’ll risk missing the perfect shot! Don’t get locked behind your camera. If your subject is a person or group of people, you’ll take better photos if you engage with your subject. Come up for regular air, then dip down for that decisive shot, returning with a smile. Your camera will show you the exposure of what you’re shooting, but don’t always feel like it needs to be bang on in the middle. If the suns behind you-you’ll be able to pick up nice detail in front of you, if the suns in front you may want to overexpose slightly to give more detail to what’s in front your subject. In essence, this is where you are, your position. We all know what it feels like to take a picture from the wrong angle. But, often this can be your secret if you want to take better photos. Standing up, crouching down, laying on your stomach – changing your angle can exaggerate a perspective and give more umph to your photos. Holding your camera right will help you take better photos. Always have two hands on your camera – keeping it steady. If you’re shooting on a DSLR keep your right hand on the grip and cup your lens with your left. This will stop your camera tipping forward. If you’re looking for your first DSLR try something like the Canon EOS 1300D which is a great entry level lens. Invest in glass! A good lens is far better than a great camera. I use the Canon 24-105 F lens which is highly rated by almost every photographer I know. ND Filters are a great investment, especially for video.